Fraud - Legal Claims Assignee I, LLC. 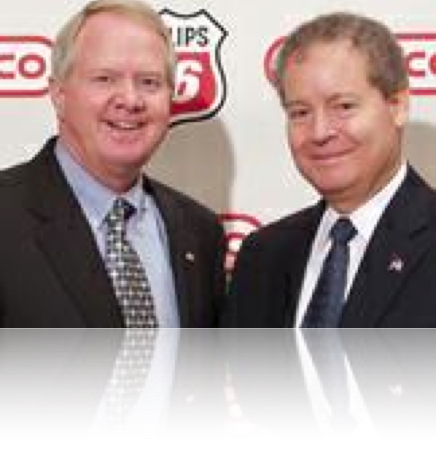 ConocoPhillips directors continue the cover up of the scam described in the Iran-Conoco Affair, The links below document an attempt to have a shareholder proposal published in the company’s 2006 proxy materials. If approved by shareholders, the proposal would require directors to report to shareholders all legal liabilities that the company will incur when the illegal business dealings with Iran are reported to the public. Using political influence exercised by the law firm of one of the participants in the Iran-Conoco Affair cover-up (James Baker), the company’s lawyers successfully blocked publication of the proposal to conceal from shareholders the risky strategy adopted by ConocoPhillips directors and lawyers. Response of the SEC-DCF Office of Chief Counsel. Request for SEC Office of Inspector General Investigation. Response of the SEC Office of Inspector General.